Contractors and builders in Georgia and throughout the Southeast have their pick of commercial insulation companies, but they only need one for all the jobs on their docket: Arango Insulation. We’re the best choice for businesses because we’re fast, affordable, efficient, and we have a wide variety of insulations for any project you’re tackling. Our skilled technicians have experience insulating single floors, entire buildings or homes, multi-families and apartments, office buildings, roof rafters, condos, hotels, churches, and more. 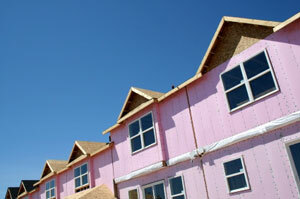 From Owens Corning to Johns Manville we carry the best brands in the business in a variety of forms. We know when it comes to your business, time is money, and that’s why most of our commercial insulation jobs are finished in one to three days. We’ll give you a one-year warranty on the installation, and we stand by any product warranties offered by manufacturers. Don’t spend all day researching commercial insulation companies. Contact Arango, and we’ll be on your site in Atlanta, Tampa, Savannah, or anywhere in between before you know it.